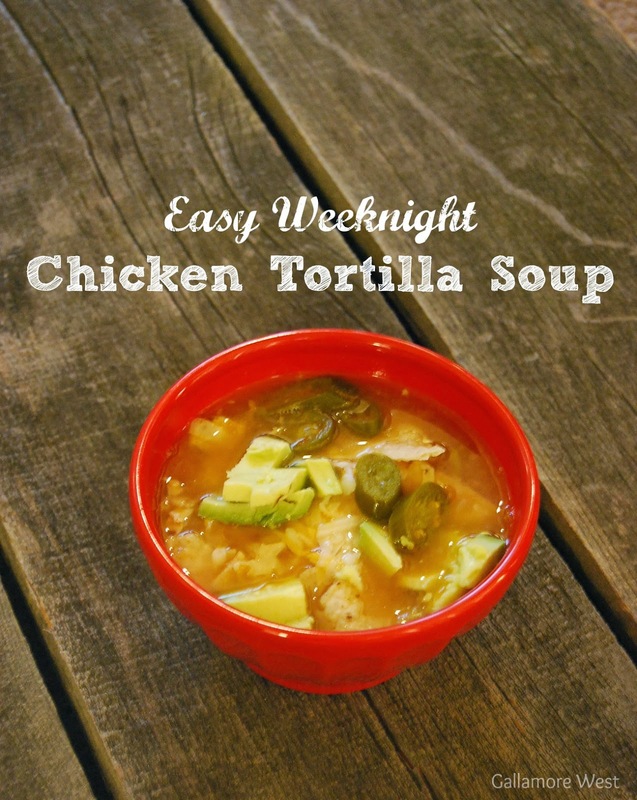 gallamore west: Chicken Tortilla Soup: Blog Hop with 50 Different Easy Dinner Recipe! 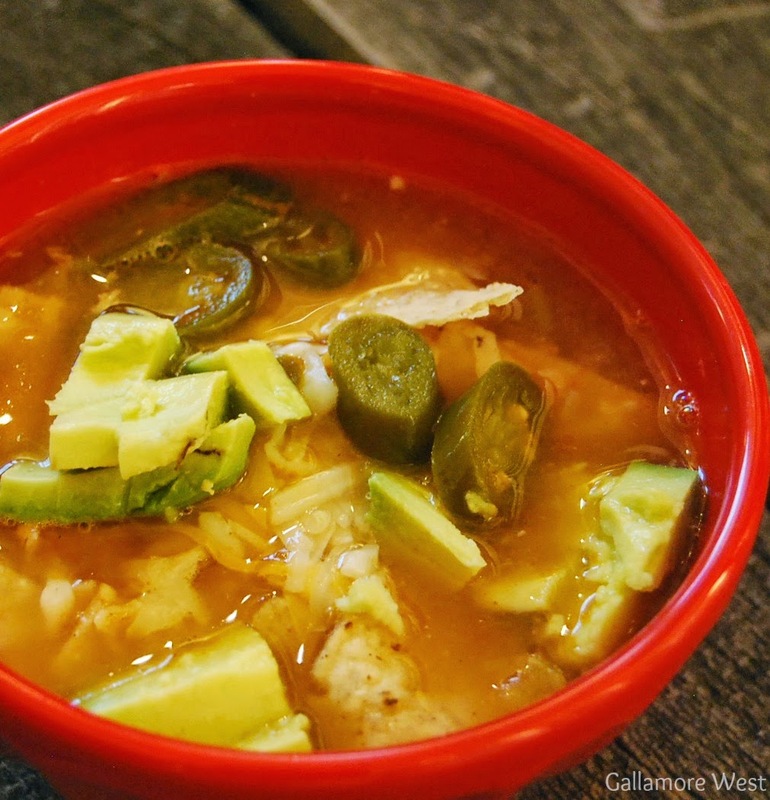 Chicken Tortilla Soup: Blog Hop with 50 Different Easy Dinner Recipe! This post contains affiliate links. See my Disclosure Policy for more information. Need some easy dinner ideas? You've come to the right place today, because I've partnered with about 50 amazing bloggers to bring you some easy, delicious dinner ideas! Check out the bottom of this post for links to all of the recipes. You guys, it's soup season and I'm SO excited! I have absolutely fallen in love with making big pots of soup for dinner lately. Chicken Tortilla Soup is probably my very favorite soup of all, so I love when that's what I get to make for dinner. But we all know that weeknights can get crazy between homework, sports, and just life in general so I love that my Chicken Tortilla Soup is easy and comes together in about 20 minutes! To make this recipe super easy, I usually cook a whole chicken in the crockpot one night and save the leftover chicken. So this soup is always made the night after "crockpot chicken" night :) You could use Rotisserie chicken too. This is my favorite crockpot because it has a timer on it, and that comes in super handy for those busy weeknights. Add all ingredients, except the garnishes, into a large stock pot. Stir occasionally on low heat for about 20 minutes so it gently simmers and the flavors blend together well. Garnish with shredded cheese, avocados, jalapeños and tortilla chips (we just crush them a little over our bowls). This soup is so delicious, easy, and perfect for busy weeknights! Every time we have it, my husband and I are brought back to our honeymoon in Puerto Vallarta where we had the best Chicken Tortilla Soup ever. This recipe is my recreation of that recipe, and it's always a hit here. 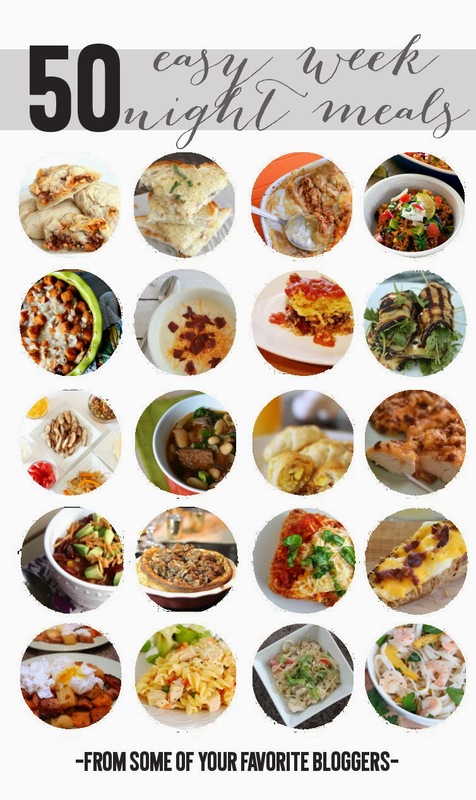 What's your favorite easy Weeknight Dinner?